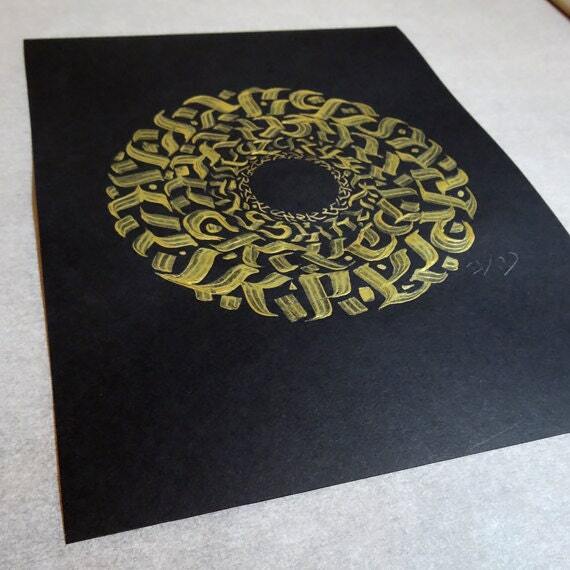 This 9"x12" original artwork is created using golden paint on black paper. 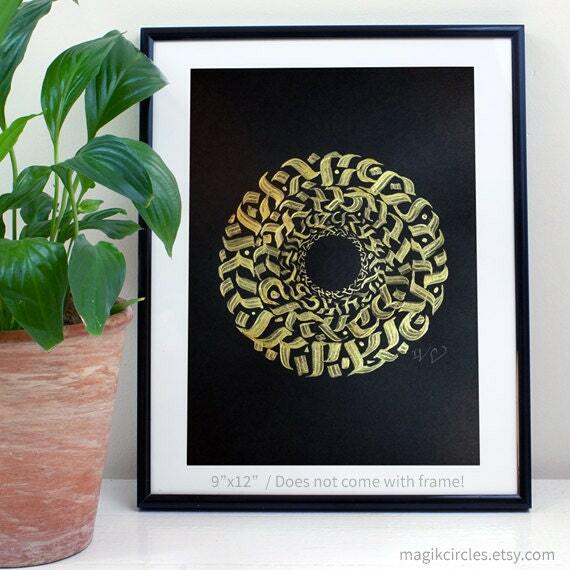 Every gold pattern MagikCircles creates is one-of-a-kind original art by Ive. The art is signed by the artist and placed in clear plastic and enclosed in foam and cardboard for protection during shipping. 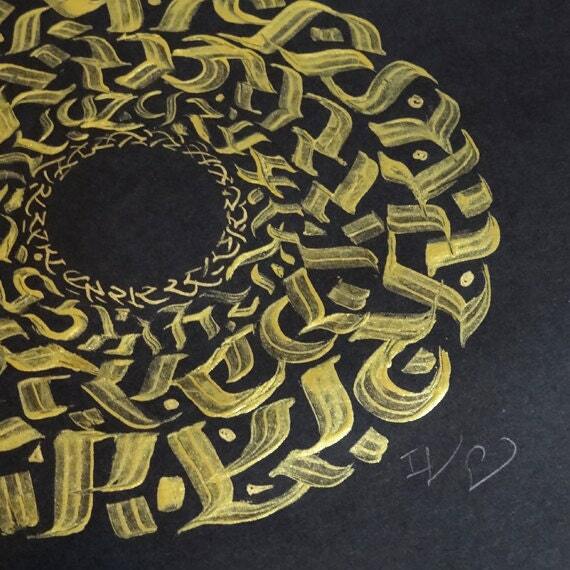 Have any questions about the art? Feel free to send a message. 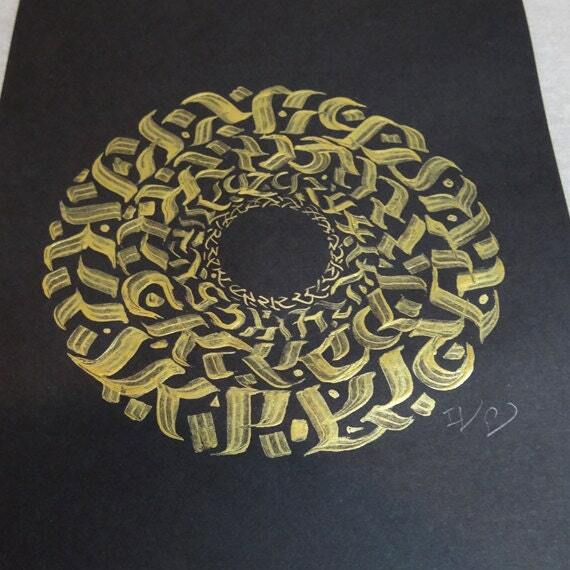 This small gold portal is hand drawn using paint on black paper.